Jule Styne and Don Black's Barmitzvah Boy, now playing in Highgate, takes a look at Jewish life in suburban London with a perspective that is both delightfully dated and yet timeless. It was in 1976 that Jack Rosenthal’s inspired BBC TV play of the same title was broadcast. Rosenthal's skill lay in affectionately spotting the satire that exists in the world around us and then gently, subtly, teasing his observations into a carefully crafted script. Barmitzvah Boy was so much more than a (rather far-fetched) tale of a young boy balking at the rite of passage that lies ahead of him. It offered a perfectly weighted glimpse into the quasi-assimilated angst of North West London's Jewish community, with a cast of characters that were as recognisable as they were hilarious. It was to be Don Black who spotted the story’s musical potential and whilst musical theatre may not have been Rosenthal's genre of choice, his magnificent characters lend themselves well to the transition. We find the Green family preparing to celebrate the Barmitzvah of their youngest, Eliot. Cab-driver Victor (Eliot's father) resigns himself to the cost of the event (with three insurance policies cashed in and counting) whilst his wife Rita frets about her hair, the guest list and all manner of trivia which, as a major celebration looms, of course take on an immense significance. Making his professional debut in the title role, Adam Bregman (just 13 and only recently Bar Mitzvah'd himself) puts in a cutely confident turn, displaying just the right amount of cheeky chutzpah. 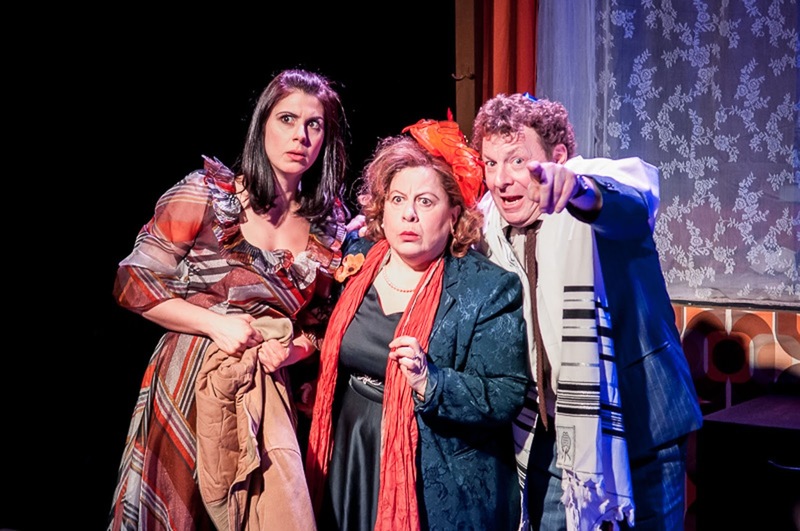 Robert Maskell's Victor is a comic delight - He doesn't over-egg his hard working sufferance in life, rather offering a portrayal of a Tevye 100 years on, only driving a cab and reading the Daily Express rather than hauling a milk cart and praying in synagogue. The enduring pathos of Victor’s well-worn love for Rita (think again of Tevye and Golde, only moved to a suburban semi rather than the shtetl), as well as a delightful duet with his aged father in law (Hayward B Morse) in Why Can't He Be Like Me?, mark a nicely measured performance. Sue Kelvin as Rita is every inch the Jewish mother. Rosenthal was merciless in skewering her character's much stereotyped neuroses - but where so often comedy has usually placed such a matriarch in New York's Brooklyn, to find her so recognisably sketched out in Willesden remains one of Barmitzvah Boy’s endearing treats. The cast in general deliver a quality package. 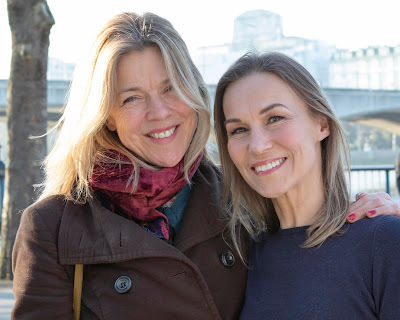 Lara Stubbs puts in a beautifully voiced turn as Eliot's older sister Lesley and there's particularly fine supporting work from Nicholas Corre as Harold, her schlemiel of a boyfriend. What makes Corre's work in particular so remarkable is his delivery of a guy who is a complete klutz, yet doing so with a combination of well-crafted acting, fine movement and a stunning vocal presence. There is also a charming cameo from NYMT alumna Hannah Rose-Thompson as Eliot's school friend Denise. Notwithstanding the familiarity of its family/Jewish shtick, Barmitzvah Boy is very much a period piece. David Thompson has updated the book and whilst Rosenthal's reference to TV cop Kojak squarely (and delightfully) pitches the action into the 1970's, the outmoded references to "Chinks" (now unpleasantly racist and not penned by Rosenthal either) could have been cut out completely. Bravo to producer Katy Lipson for having blown the dust off this time-machine of a show and credit to Stewart Nicholls for cleverly helming a potentially tricky piece. Ultimately Rosenthal and Black (along with Styne's score, some of which is sensational and which is delightfully delivered on the night by Ed Court's four piece band) have created a show that describes, over 2 hours, a culture that Jason Robert Brown distilled into 3 minutes in the song Shiksa Goddess from his show The Last Five Years. Dripping with so much schmaltz that it could quite possibly congeal arteries, Barmitzvah Boy is most likely to appeal to musical theatre fans and Jews. This is one of those shows that makes London's fringe great - and, after the recent triumphs of Gypsy and Funny Girl, for those who want to discover one of Jule Styne's lesser known works, it’s unmissable.